Between 1599 and 1605, the Jesuits established a mission residence in Palapag, among the Ibabao populace. These missionaries stayed until 1768, when they were expelled from the Philippines and were replaced by the Franciscans. Despite the frequent Muslim piratical raids and deprivations, the mission’s residence flourished and other villages in the Ibabao region were evangelized. As the San Bernardino Strait was along the route of the Spanish galleon shipping between Manila and Acapulco, Mexico, a royal port was established in Palapag where richly-laden Manila galleons were protected from unfavorable wind and troubled seas. In 1649, shipbuilders were drafted from Palapag to the Cavite shipyards for the construction of galleons and vessels for the conservation and defense of the island. That same year, these recruits ignited the Sumoroy insurrections, which incited a general uprising against Spain in the Visayas and Mindanao, in the provinces of Caraga and Iligan, and then in Cebu. It took a year before the Spanish subdued the rebellion. Later in 1898, when the Americans landed on the beach of Catarman, the Samareños organized a revolutionary army led by Gen. Vicente Lucban. Armed with bolos and paltiks, they fought the invaders who used cannons and rifles. Although defeated, they continued to harass the Americans through guerilla warfare. During World War I, the people of Northern Samar organized a platoon of volunteers supported by voluntary contributions. The contingent became a part of the Philippine National Guards in Manila. 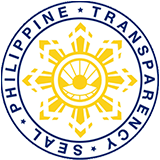 The province also helped the government by purchasing a considerable amount of bonds floated to finance the National Commission for Independence, then organized by Manuel L. Quezon after the Nacionalista and Democratica parties coalesced. Bataan surrendered in 1942, four intrepid guerilla organizations operated in Samar: the 93rd Infantry Division of United States Armed Forces in the Far East (USAFFE), organized by Lt. Sevilleno, with Capt. V. Merit in Catarman having the widest area of command; the Philippine guerilla forces headed by Ex-Gov. Pedro Arteche, based in Barrio San Andres, Villareal; and two other units founded by Major Vicente O. Valley in Guiuan and Major Luciano Albia in Base. Northern Samar was part of the Samar province until it became an autonomous province by virtue of Republic Act No. 4221, approved on June 19, 1965. The bill was authored by the late Congressman Eladio T. Balite, which divided Samar into three provinces, namely; Samar, Eastern Samar and Northern Samar. In view of the 1986 Constitutional Commission Ordinance (unnumbered) apportioning the seat of the House of Representatives of the Congress of the Philippines, the Province of Northern Samar obtained two (2) congressional seats, the first and second districts.